Hussein Seif is a renowned master barber worldwide. Unfortunately, he can not pack his lovingly and authentically furnished shop for events all over the world in his suitcase. But his craft comes really to live with the right ambience. 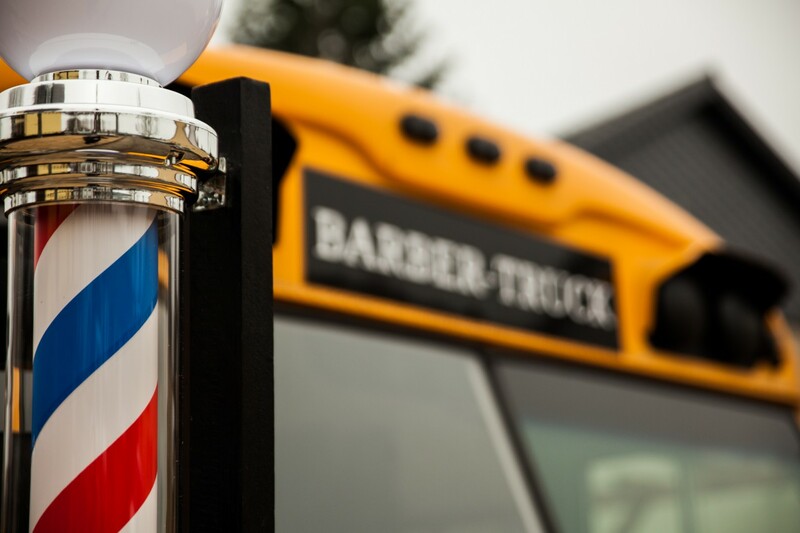 Accordingly, he developed the concept of the rolling gentleman barber shop. 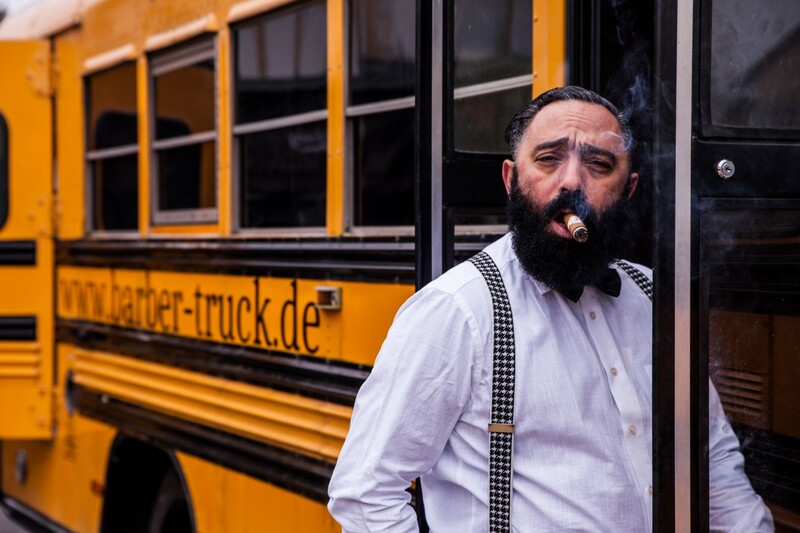 Anyone who enters the yellow-black school bus will feel thrown back to the golden twenties of Berlin. Here the traditional barber craft is practiced: the staff is wearing fine suits from gent’s outfitters, musicf rom a record player fills the background and the clients are shaved with sharp knives in an old English atmosphere- whether full beard or mustache.